Before the introduction of the vaccine, numerous effective prevention measures had already been implemented to some degree in the US, including blood screening and administration of hepatitis B immune globulin (HBIG) to infants born to HBsAg-positive women. HBIG contains protective antibodies obtained from the blood plasma of selected donors, conferring passive immunity to the infant. It’s estimated to be about 75 percent effective in preventing chronic infection when given soon after exposure. Additionally, newborn infants may have maternal antibodies passively acquired through the placenta. Nevertheless, the number of cases occurring in the US annually continued to increase until it peaked in 1985 at about 26,000 reported cases. The increase in prevalence was occurring particularly among young adults. The decline seen during the second half of the 1980s through the early 1990s is attributed to a reduction in transmission among gay men and drug users as a result of efforts to prevent transmission of the human immunodeficiency virus (HIV), which causes acquired immunodeficiency syndrome (AIDS). From 1990 to 2004, incidence of acute hepatitis B infection declined by 75 percent, with most of the decline occurring among children and adolescents, coinciding with greater vaccination coverage. Persons considered at “substantial risk” included various categories of health care workers, gay men, illicit injectable drug users, recipients of certain blood products, household and sexual contacts of HBV carriers, Alaskan Eskimos, immigrants or refugees from countries where HBV is highly endemic, and prison inmates. The hepatitis B vaccine was first licensed for use in the United States in 1981. 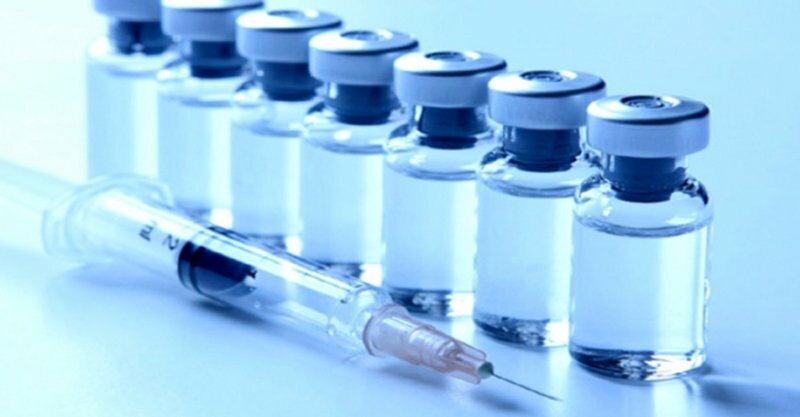 The following year, the CDC’s Advisory Committee on Immunization Practices (ACIP) issued a recommendation for vaccination of high-risk individuals. The estimated lifetime risk of HBV infection at the time was approximately 5 percent for the US population as a whole, but rose to almost 100 percent for the highest-risk groups. Persons considered at “substantial risk” included various categories of health care workers, gay men, illicit injectable drug users, recipients of certain blood products, household and sexual contacts of HBV carriers, Alaskan Eskimos, immigrants or refugees from countries where HBV is highly endemic, and prison inmates. The CDC admitted that, with respect to the developing fetus, safety data were not available, but assumed that the risk should be negligible on the grounds that the viral antigen contained in the vaccine was non-infectious. However, since the viral antigen was not the only component of the vaccine, the CDC’s conclusion did not logically follow. The CDC did not say whether studies were being done to determine the safety of vaccinating infants at birth. This curious oversight was made despite the CDC’s acknowledgment that the vaccine included aluminum—a known neurotoxin—as an “adjuvant”. An adjuvant, as defined by the CDC, is “an ingredient used in some vaccines that helps create a stronger immune response in people receiving the vaccine.” Inasmuch as aluminum is a foreign substance in the body capable of causing disease and which triggers an immune response, aluminum also meets the CDC’s definition of an “antigen”. Additionally, the hepatitis B vaccine being used at the time included another known neurotoxin: mercury. Furthermore, the CDC included high-risk pregnant women within the scope of its recommendation by stating that pregnancy “should not be considered a contraindication to the use of this vaccine”. The CDC admitted that, with respect to the developing fetus, safety data were “not available”, but assumed that the risk “should be negligible” on the grounds that the viral antigen contained in the vaccine was non-infectious. However, since the viral antigen was not the only component of the vaccine, the CDC’s conclusion did not logically follow. This glaring non sequitur fallacy by the CDC is illustrative of a complete lack of concern among public health officials about the neurotoxicity of mercury and aluminum, both of which are known to pass through both the placental and blood-brain barriers. In fact, the CDC issued its recommendations that high-risk pregnant women and infants of carrier mothers be vaccinated despite a complete absence of studies demonstrating that either practice was safe. The clinical trials used to obtain licensure for the vaccine had included only gay men. While emphasizing that studies had shown vaccination to be effective, the CDC mentioned no studies demonstrating that it was safe to vaccinate newborn babies or to expose developing fetuses to mercury and aluminum by vaccinating pregnant women. In an updated recommendation the following year, the CDC explicitly recommended vaccinating infants born to infected mothers concurrently with HBIG within twelve hours of birth. Once again, safety studies were not forthcoming. In 1986, a new version of the hepatitis B vaccine was licensed for use in all ages. The older version was manufactured by isolating and purifying HBsAg from the blood plasma of infected individuals. The new vaccine, Merck’s Recombivax HB, instead contained viral proteins that were genetically engineered, manufactured by cloning the virus’s genetic coding for HBsAg into “recombinant” yeast. Under federal law, vaccine manufacturers are required to include package inserts with their products providing adequate warnings about the risks of using them. These are publicly available on the FDA’s website. The current package insert for Recombivax HB, with respect to its effectiveness, states that “The duration of the protective effect of RECOMBIVAX HB in healthy vaccinees is unknown at present and the need for booster doses is not yet defined.” The vaccine may also be ineffective if administered to an individual who is already infected. It’s not known whether the vaccine’s contents are excreted in human milk, and there are no studies of the effects on breastfed infants or milk production. There are no studies to determine whether the vaccine can cause genetic mutations or cancer, or whether it can impair fertility. 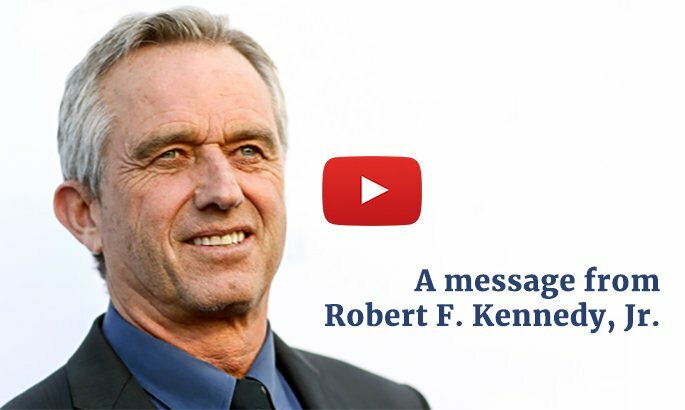 With respect to its safety, Merck states that “There are no adequate and well-controlled studies designed to evaluate RECOMBIVAX HB in pregnant women.” Additionally, “Developmental toxicity studies have not been conducted with the vaccine in animals.” It’s not known whether the vaccine’s contents are excreted in human milk, and there are no studies of the effects on breastfed infants or milk production. There are no studies to determine whether the vaccine can cause genetic mutations or cancer, or whether it can impair fertility. Merck does refer to post-licensure clinical studies relevant to pregnant women, but these were not actually designed to test the safety of the vaccine for this group. Instead, twenty-three pregnant women were vaccinated “inadvertently” early in their first trimester, four of whom ended up having a miscarriage. Merck states that this 17 percent miscarriage rate is “consistent with estimated background rates”, but given the fact these studies weren’t designed to determine whether fetal harm might occur, included a very small number of pregnant women, and didn’t include a placebo control group, this information is totally worthless in terms of risk assessment. The only information about safety with respect to vaccinating infants refers to three clinical trials including a total of only “147 healthy infants and children (up to 10 years of age)”. Since the infants were grouped with older children and their number unspecified, this information is uninterpretable with respect to the safety of vaccinating infants still in the earliest stages of childhood development. The number of children included was also too low for these studies to have the statistical power necessary to detect any harms apart from those that occur very frequently. There was no placebo control group even to determine the statistical significance of reported adverse events, such as fever or rhinitis. Furthermore, these children were monitored for adverse events for only five days, so any adverse events occurring after that period of time were entirely missed. This is particularly concerning given that symptoms of neurological damage from toxins like mercury and aluminum might not be noticeable for many weeks, months, or even years following exposure—not to mention the fact that it is not only single exposures that need to be taken into consideration, but the cumulative impact of all environmental toxic exposures. Despite the total inadequacy of the clinical trials for determining the safety of vaccinating pregnant women and infants, a microbiologist from the Food and Drug Administration (FDA), Richard Daemer, assured the public of the new vaccine’s safety by stating that it “just can’t do any damage, period”. The sole premise upon which that fallacious conclusion was based was, once again, that the vaccine did not contain a live virus capable of infection. It was a statement that once again demonstrated the complete lack of consideration among public health officials that mercury and aluminum, both of which were also included in Recombivax HB, could potentially cause neurodevelopmental harm to vulnerable fetuses and young infants. That same year, the US Congress passed the National Childhood Vaccine Injury Act, which granted broad legal immunity against vaccine injury lawsuits to the pharmaceutical industry and established the Vaccine Injury Compensation Program, funded by an excise tax on each vaccine dose, to effectively shift the financial burden for vaccine injuries away from the manufacturers and onto the taxpaying consumers. The Supreme Court in 2011 upheld legal immunity for vaccine manufacturers on the grounds that adverse reactions are “unavoidable” and design defects are “not a basis for liability”. In 1988, the CDC once again revised its policy by recommending screening for all pregnant women, not just those in high risk groups, in an effort to reduce the number of perinatally infected infants who become chronic carriers. The number of such infants born each year was estimated to be about 3,500, which represented about one-fifth of the estimated number of births to HBsAg-positive women annually (16,500). A study done ten years later estimated that 97 percent of pregnant women in the US receive prenatal screening. Once again, there was no placebo control group, and the researchers solicited only certain pre-selected adverse events by providing a symptom checklist. Once again, subjects were monitored for a very short term, which was only four days. In 1989, a second recombinant HepB vaccine was licensed for use in all ages: GlaxoSmithKline’s Engerix‑B. Its package insert includes similar warnings as are included with Merck’s product. In thirty-six clinical trials, Engerix‑B was administered to 5,071 healthy adults, children, and newborn infants. Once again, including the unspecified number of infants with older children and adults renders this information uninterpretable with respect to the risks of vaccinating infants. Once again, there was no placebo control group, and the researchers solicited only certain pre-selected adverse events by providing a symptom checklist. Once again, subjects were monitored for a very short term, which was only four days. Given the low risk to most newborns of Hepatitis B Virus (HPV) infection, the routine screening during pregnancy to identify at-risk newborns and the availability of HBIG treatment for exposed infants (that is 75 percent effective at preventing chronic infection), coupled with the lack of studies to determine the safety of vaccinating pregnant women and infants, what was the scientific medical rationale underlying the CDC’s decision in 1991 to recommend that all newborn babies be vaccinated? The simple answer is that there wasn’t one. The ACIP’s recommendation was not based on science, but on the CDC’s desire to achieve its goal of eliminating transmission of HBV by achieving high vaccination rates. Indeed, the CDC was actually quite explicit about this at the time. The stated reason why the CDC wanted to vaccinate all infants was not because all infants were at risk of infection, but simply because its strategy to vaccinate high-risk populations was failing. The CDC’s “rationale for a comprehensive strategy to eliminate transmission of hepatitis B virus in the United States” was published in its journal Morbidity and Mortality Weekly Report (MMWR) on November 22, 1991. The new strategy included “making hepatitis B vaccine part of routine vaccination schedules for all infants.” The stated reason why the CDC wanted to vaccinate all infants was not because all infants were at risk of infection, but simply because its strategy to vaccinate high-risk populations was failing. Infants, of course, do not engage in those high-risk behaviors. The CDC’s reasoning was simply that, since adults tended for various reasons to not get the vaccine, it would eliminate the choice by vaccinating everyone at birth, regardless of individual risk. Continuing, the CDC noted that the older, plasma-derived vaccine was no longer produced in the US, having been replaced by the recombinant vaccine technology. Like the older vaccine, both brands of the newer HepB vaccine contained aluminum and mercury. The CDC acknowledged that no long-term studies had been done to determine the effectiveness of the new vaccine. Instead, its effectiveness was judged on the basis of studies done for the older, plasma-derived vaccine. With the older vaccine, protective antibody levels were initially provoked in most subjects, but waned over time so that after nine years as many as 60 percent of subjects no longer had detectable antibodies. However, the vaccine seemed to induce immunologic memory so that subjects remained immune despite waning antibody titers. For children vaccinated at birth, the protective effect of the vaccine persisted for “at least 5 years”. Hence, the CDC’s recommendation was not based on scientific studies demonstrating that the recombinant HepB vaccine administered in early childhood would confer immunity throughout adulthood. Instead, the CDC’s policy was faith-based, resting on the mere assumption that it would do so. … it’s very easy to say that there is no apparent evidence of harm when studies to determine the risk have not been done. The CDC’s new policy was even more faith-based when it came to the question of the new vaccine’s safety. It produced no studies demonstrating that exposing fetuses and infants to these neurotoxins was safe. Instead, citing its own unpublished data, the CDC judged on the basis of “limited experience” that there was “no apparent risk” to developing fetuses of vaccinating pregnant women. Of course, it’s very easy to say that there is no apparent evidence of harm when studies to determine the risk have not been done. The CDC also once again employed the non sequitur fallacy that, since the viral antigen particles in the vaccine were noninfectious, the vaccine “should cause no risk to the fetus”—thus once again demonstrating the institutionalized failure to consider the potential for neurodevelopmental harms from mercury and aluminum. In the CDC’s faith-based judgment, the benefit of possibly preventing an estimated 2,000 to 5,000 annual deaths from HBV-related liver disease outweighed any potential harms, including the risks of unnecessarily exposing millions of fetuses and newborn babies to the neurotoxic effects of mercury and aluminum. In 1999, the decision was made to eliminate the mercury-based preservative thimerosal from most vaccines routinely recommended for children. This was done because it had become known that the CDC’s schedule was exposing children to cumulative levels of mercury that exceeded the safety guidelines of the US Environmental Protection Agency (EPA). However, thimerosal is still used in multi-dose vials of influenza vaccines, and both hepatitis B vaccines licensed for use in infants still contain aluminum. A previous study by the same team, published in the Journal of Neuroimmunology a year prior (2015), was the first to examine the question of “whether neonatal vaccination could influence brain development in a physiological manner.” Studying the effects of vaccination in rats, among their findings was that it triggered an increase in “pro-inflammatory cytokines, such as IL-1β, IL-6, and TNF-α”, which research had focused on “as having a detrimental effect on neuronal function and synaptic plasticity.” The increase in pro-inflammatory cytokines was part of “a neurotoxic expression profile” exhibited by HepB-vaccinated rats. Their data confirmed “that altered immune status induced by vaccination modulates hippocampal synaptic plasticity during early life”. The vaccine induced a bias toward an antibody response, or humoral immunity, in relation to cell-mediated immunity. This skewing of the immune system, they concluded, “exerted detrimental effects”. … early vaccination with [hepatitis B vaccine], which induces strong immune activation, is suspected to influence brain development and behavior. In a third rodent study published in the journal Cytokine in October 2018, the researchers highlighted how HepB vaccination “induced an instant anti-inflammatory cytokine response and a subsequent proinflammatory cytokine response in the hippocampus.” Notably, behavioral impairment appeared in mice vaccinated on the day of their birth at eight weeks of age, coinciding with “the delayed hippocampal neuroinflammation”. A dramatic increase in pro-inflammatory cytokine levels (IL-1β, IL-6, and TNF-α) as compared to controls was observed between thirty-five to forty-two days post-vaccination. Naturally, such evidence of delayed neurological harm couldn’t possibly have been detected in the uncontrolled clinical trials with only four or five days of follow-up that were used by Merck and GlaxoSmithKline to obtain the FDA’s stamp of approval for getting their products to market. While public health officials and the corporate news media mock and scorn anyone who dares to question the wisdom of vaccinating children strictly according to the CDC’s recommended childhood schedule, including vaccination of newborn babies on the very first day of their lives, what the science is telling us is that there are very legitimate reasons for concern. At the very least, there ought to be open discussion and debate about the practice of vaccination, yet instead we are witnessing a concerted effort to silence critics and more strictly enforce vaccine mandates required for school entrance. While we’re told that the hepatitis B vaccine is a “crucial shot” for infants, the reality is that the vast majority of children are not at significant risk of infection. The CDC’s recommendation to vaccinate newborns universally was not based on science, but on the assumptions that the vaccine would effectively reduce HBV-related liver disease mortality and—to paraphrase the words of FDA microbiologist Richard Daemer—would be incapable of causing harm to pregnant women’s developing fetuses or newborn babies. Instead, what science is telling us is that the CDC’s recommendation to universally vaccinate newborns at birth puts the majority of children in the US at a completely unnecessary risk of neurodevelopmental harm from the hepatitis B vaccine, with incalculable costs to society.